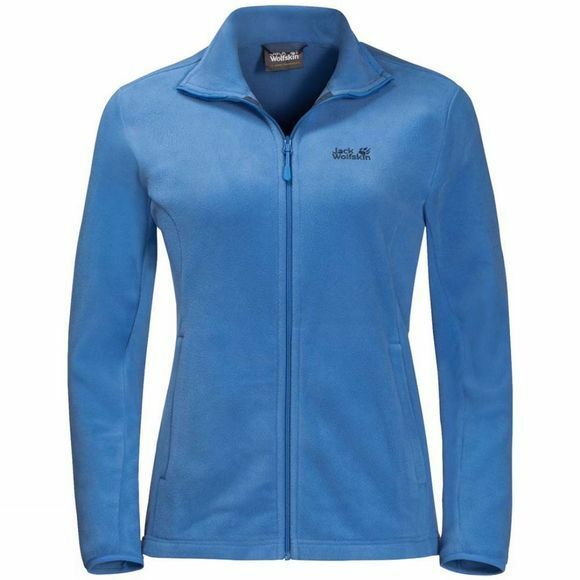 The Womens Echo Jacket from Jack Wolfskin is a top choice for a wide Range of Winter activities. This soft Fleece Jacket is made entirely of recycled materials and delivers Basic Insulation at a mInimal weight.The Echo is a Highly versatile Jacket. Wear it as a mid layer In your layerIng system. Slip it on durIng rest breaks to stop you gettIng cold. Or prolong your evenIng Outdoors with a bit of Light Insulation.